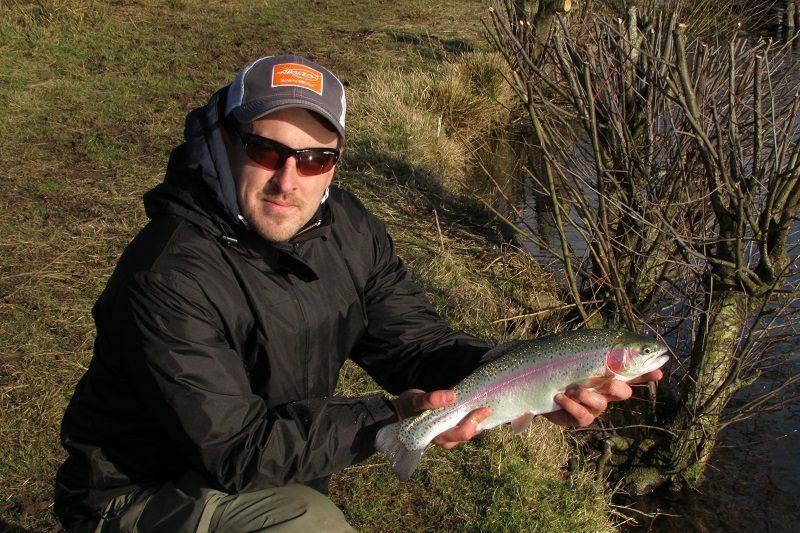 For the last few months, fishing all over the UK has been on fire, the weather has been kind with the odd flurry of snow and a sprinkling of frost but more importantly the temperature a very manageable 7-12 degrees. The past month however it seems almost all the UK has been experiencing a colder spell – heavy snow that’s not budging from the mountain tops here in south Wales, and the car being frozen almost every day before leaving for work – Inevitable the fishing has become somewhat slower on both river and lake. The water temperature on my local Cwm Hedd Lakes has dropped from almost 9 degrees to a much cooler 4 degrees Celsius. When the water drops below the lower optimum threshold of 7 or so degrees, you’ll experience a noticeable drop in fish activity. Fish feeding activity is more localised and weather dependent, allowing anglers in the ideal place to ‘bag up’ and others not to get a pull – Inevitable I know, but if you know the water you’re fishing, you could be one step ahead of the others. 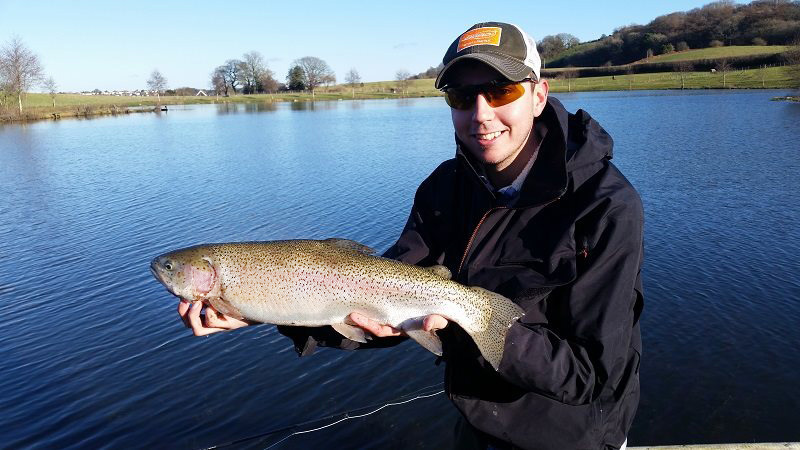 The colder weather also forces the fish deeper, presumably in search of warmer water, so don’t expect the fish to be feeding from the surface – especially first thing in the morning. One thing which has proven this for me since the cold snap is a Deeper fish finder I’ve managed to borrow – It’s basically a floating plastic ball with sensors you cast into the lake with a spinning rod, beams are sent to the bottom and the Deeper feeds straight back to your Android or iOS device the depth, weed height and fish, along with a few other interesting features. 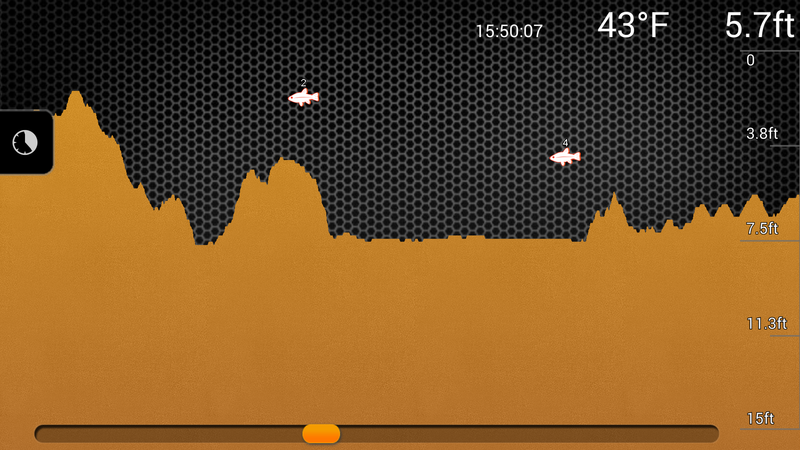 The deeper is ideal for locating the depths of the fish, as well as any underwater structures fish may be lurking around. Recently the average depth of fish has been around 6ft down, many of them hugging the 6ft edge around the inside edge of the lake – The gold head blob fished under a bung has proved deadly when the depth is correct, but a fast intermediate line and a lure fished slowly seems to be the way forward, holding and dropping through the water column. 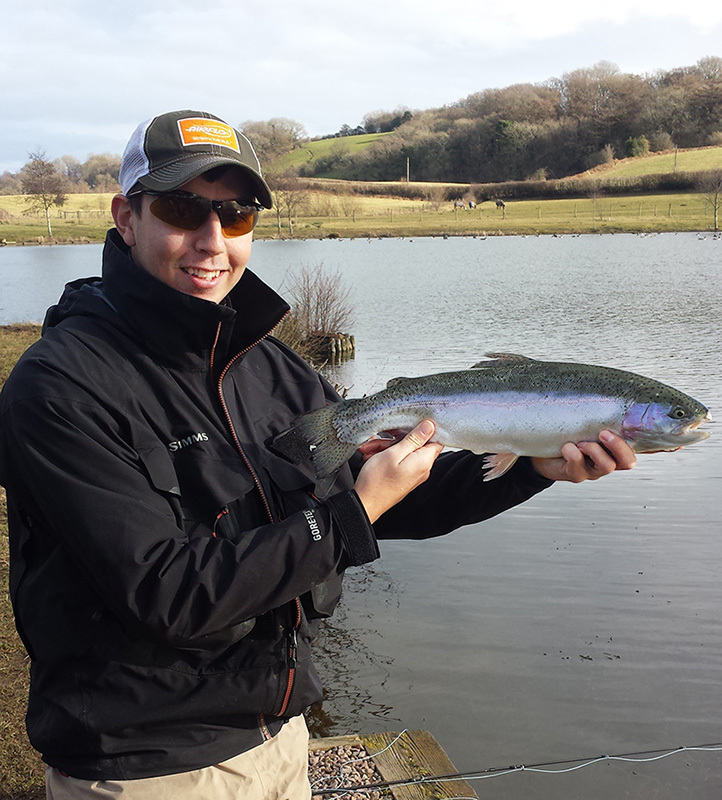 I’ve been lucky enough to get in on the action myself, landing a magnificent 6lb 15oz rainbow at 4 ft deep! Snow melt has put a stop to play on my river fishing unfortunately, so the majority of my fishing has been at either Cwm Hedd or Garnfrwdd, both fisheries producing some great sport when unable to get to the river. Here’s a few pics from last Sunday, Luke Thomas and myself found a lovely little pod of rainbows from the side of the island at Cwm Hedd.